If you want to travel to Bagan with you own plan and don’t want to take any package tour, here is our guides on How to get to Bagan. Bagan can be easily reachable by bus, air, train and even with by water route. Or you may want to choose different transport between going to and return trip. You can take Highway bus from Yangon to Bagan. There are a lot of bus services to choose. Price is ranged from 9000 MMK to 22000 MMK depend on the buses. Travel time from Yangon to Bagan is around 9 hours. Most of the buses arrive to Bagan early in the morning around 5:30 AM. Buses with good reputation and services are Elite Bus, JJ Express and Bagan Minthar. Personally I would like to recommend you to take JJ. JJ has two type of buses to Bagan. Regular and VIP. VIP ticket will cost around 20,000 MMK. Where to buy Bus ticket? If you live in downtown, you can go to Aung San Stadium (in front of Yangon Railway station) and there you will see many high way bus ticket counters. You can purchase bus tickets from the bus service you want. Some of the highway bus service has online booking and purchasing system. Here are example JJ express (https://www.jjexpress.net/) and star ticket (online bus ticket portal). So you can purchase ticket from their website easily. You can also purchase bus ticket online through 12GO website. At that point, I would like to remind you one thing. Most of the buses left Yangon from Aung Mingalar Highway Gate which is located quite far from downtown. Taxi fare will cost around 8,000 MMK from Downtown to Aung Mingalar Bus station. You can use Grab Taxi if you don’t want to bargain about taxi fare. 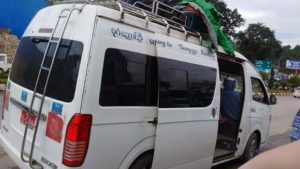 (A few bus services provide free in-city pick up service for passengers from downtown to Aung Mingalar with their own ferry, so you need to check with Ticket counter about ferry service). Yayy… Now you can go to Bagan with Bus. Arrive to Bagan… What next??? You will arrive to Bagan early in the morning around 5:30. Luckily most of the bus services provide free free service from Bus station to your hotel. But there, you need to tell them about your booked hotel. If you haven’t booked a hotel yet, you need to tell them the place where you would like to go. Please make sure at the bus station about Ferry service for foreigner. Some of the ferry will not take foreigner as they made some agreement with local taxi. At this case, you have to take local taxi (mostly saloon car) to go to your booked place. Depend on your location, Taxi fee will cost around 8,000 MMK to 10,000 MMK. Some of the hotel provide pick up service at bus station to their hotel. You should check with them while making hotel booking. Our blog have a Bagan hotel directory and we list the most highly rated hotels from Bagan area. Bus stop is located at Nyaung Oo. So if your hotel is also located in Nyaung Oo, it will just take around 10 minutes drive from Bus stop. But if your hotel is in new Bagan area, it will take around 30 minutes from Bus station to new Bagan area. So it is wise to choose your hotel location in advance. You can read this article about where to stay in Bagan. It takes only around five hours from Mandalay to Bagan. 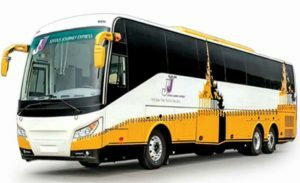 There are two options on choosing buses to Bagan from Mandalay. There are mini Buses (12 seaters) services and also Express Bus service to Bagan. Ticket price are more or less the same around 7,000 MMK to Bagan. Mini Bus will pick you up at your hotel in Mandalay. One famous bus service is Pyi Daw Aye Mini bus service. 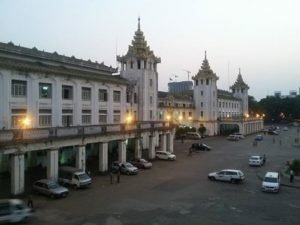 There are many flights from Yangon to Bagan and Mandalay to Bagan. I will write about separate post about flight to Bagan. There is a daily train from Yangon to Bagan. Train Number is 61 (Ygn to Bagan) and 62 (Bagan to Yangon). The train left Yangon at around 16:00 and arrive Bagan at 9:30 on the next day. You can buy train ticket at Yangon Railway station. Don’t expect too much for convenient ride. But if you would like to try Burmese train system, you should choose to go with a train. Most of the traveling time with a train is at night time, so you will not have a chance to see the scene along the railway. Normally there is a restaurant on the train and you can get some food from there. But you are advised to take your own bottle water and some snacks and picnic pillow. You can also travel to Bagan from Mandalay by train. From Mandalay to Bagan, you have two time slots to choose. There are day running train and night time train. If you choose day running train, it will leave Mandalay around 7:20 in the morning and arrive Bagan around 21:00 at night. You can enjoy scene along the rail road especially the village lives of upper Myanmar. You can also take some river cruise services to get to Bagan. But it will not be from Yangon. 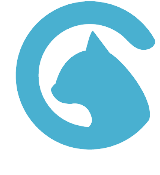 But these services are exclusively targeted to foreigner and minimum price is started at around 759 USD per package. The expensive one is Irrawaddy Explorer and it cost around 3,500 USD per package. Package are designed for 7 days or 10 days package with a lot of activities and facilities. We have posts about what to do in Bagan and where to stay in Bagan. I would like to recommend you to read it before getting to Bagan. I hope it will be a small help to you.